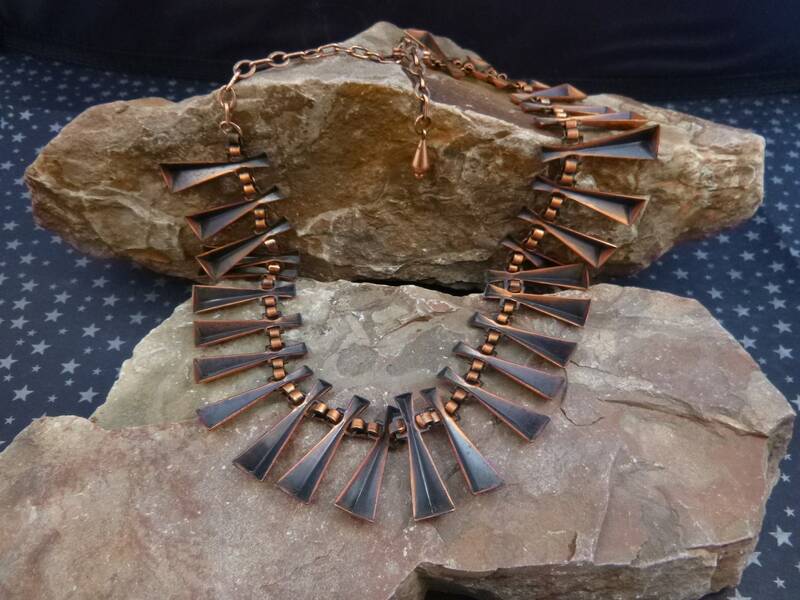 I found this stunning mid century Cleopatra style necklace while vintage shopping along the Front Range of the Rocky Mountains in Colorado. 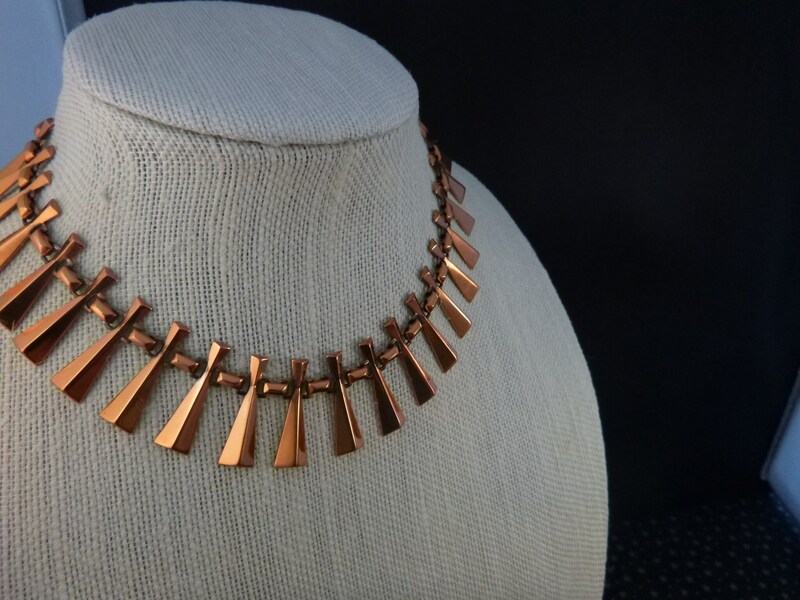 It’s a mid century modernist copper necklace from the l950s with the marker’s mark “©Renoir” in script on the back fastener. 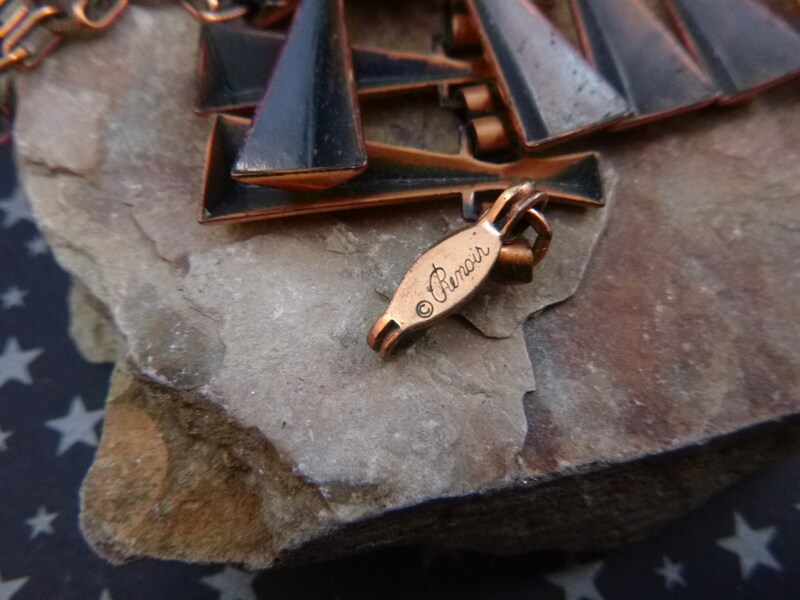 That mark was a designation used in the l950s by the Renoir Jewelry Company of California, founded by Jerry Fels in l946. 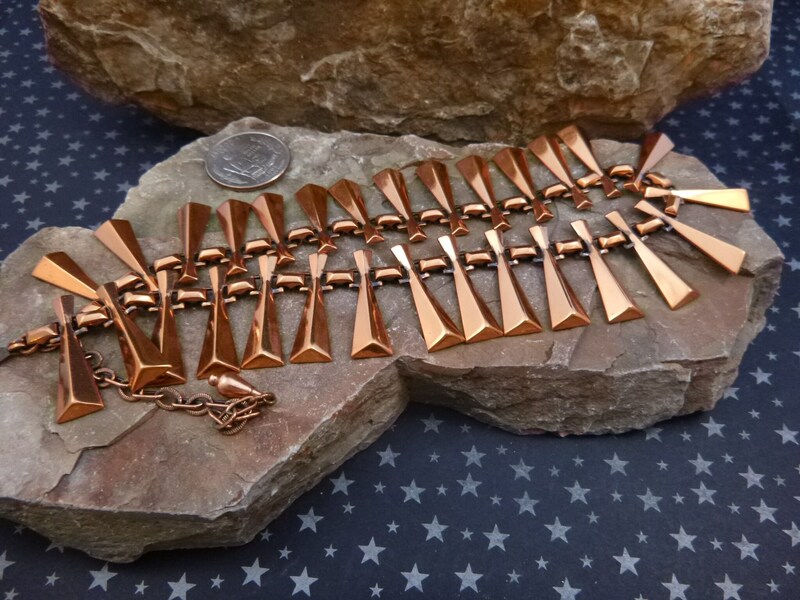 The company closed in l964 and was well known for their well crafted copper jewelry and exceptional designs. 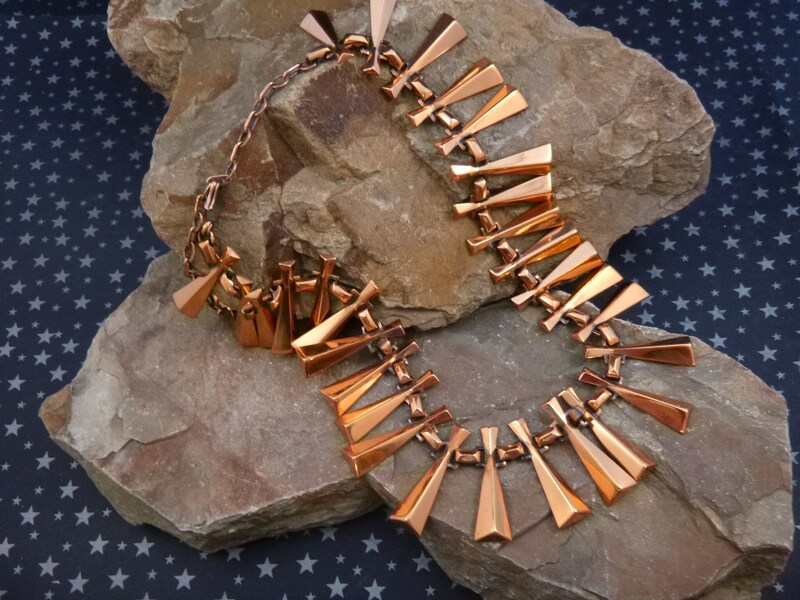 This beautiful statement necklace is in the tailored tradition of much of Renoir’s copper jewelry and similar to ones featured on page 122 of Burkholz and Kaplan’s book, Copper Art Jewelry. 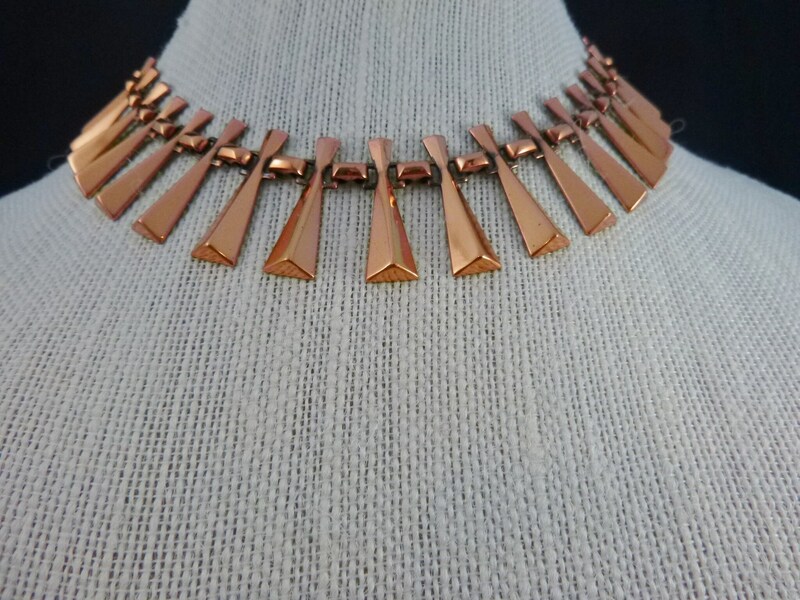 At the time of publication in l992 they listed necklaces similar to this one in style and condition in the “$85-165” range. 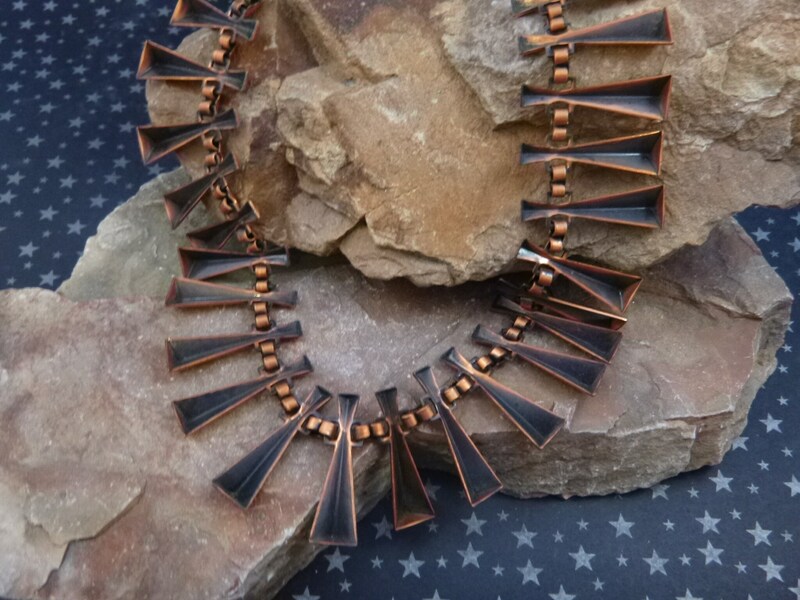 The necklace is in very good vintage condition, with a warm, gentle patina and only light signs of wear. 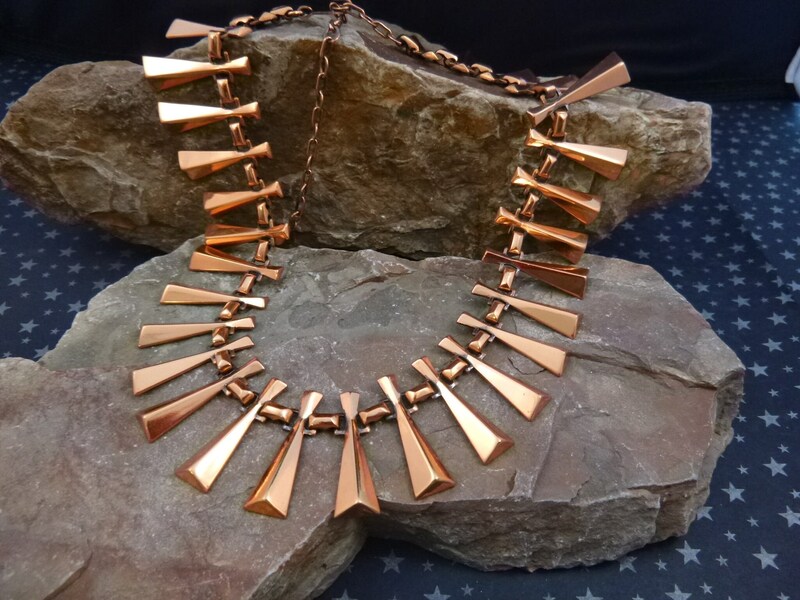 There are 29 decorative triangular pieces which comprise 13.5” of the necklace. 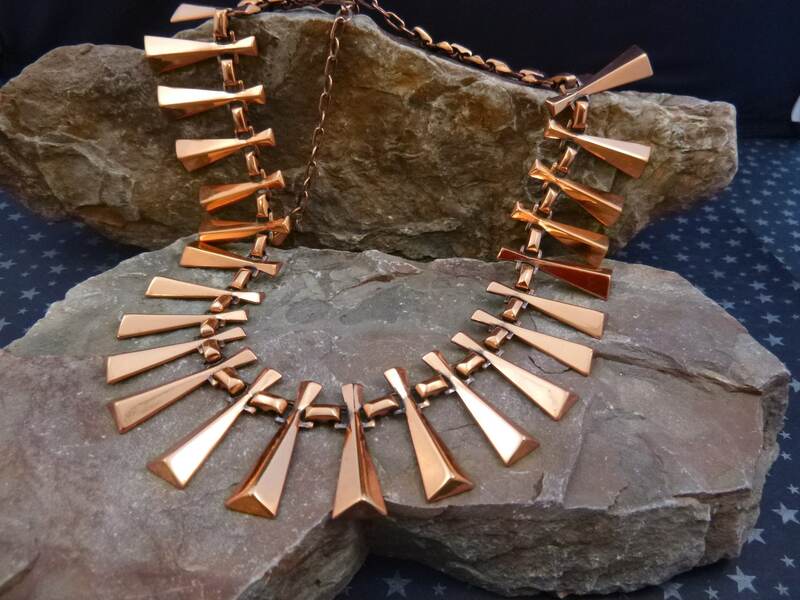 That, combined with the 4.5” copper chain and clasp, creates a 18” choker style or slightly lower necklace which can be adjusted in length. The necklace is in the condition I found it indicative of the great care it had in its 60+ years of existence. 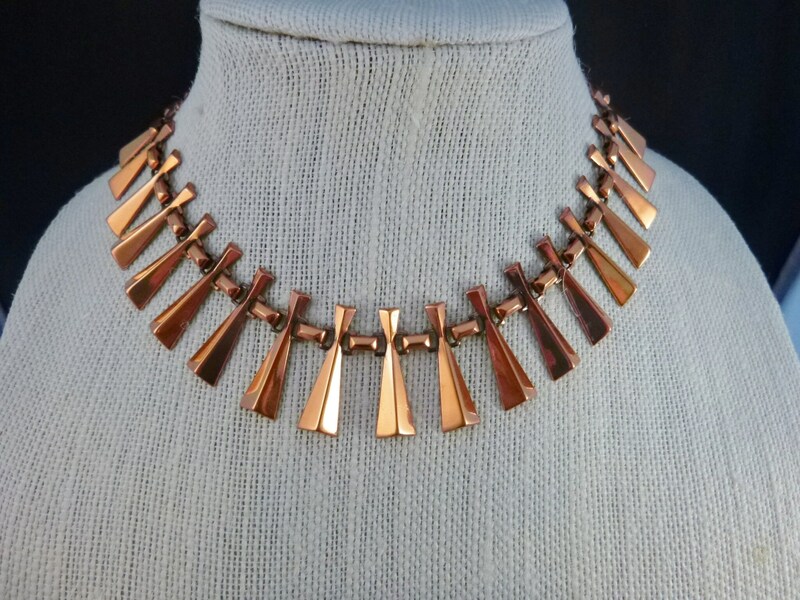 The pictures offer greater perspective on the mid century modernist style and vintage condition of this lovely copper statement necklace. (Note: I have a red camera and on some pictures you see its shadow; not problems with the metal).